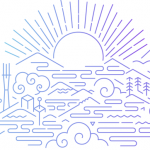 Back in October Sumo Logic opened up its beta program of the Sumo Logic Add-on for Heroku. Today we are pleased to make the Sumo Logic Add-on generally available in the Heroku Elements marketplace, and adding support for Private Spaces. The Sumo Logic Add-on for Heroku helps PaaS developers to build, run and secure their applications. Using Sumo Logic’s pre-built dashboards, predictive analytics and features like Live Tail, Heroku developers can monitor their applications in real-time and troubleshoot them from code to production. 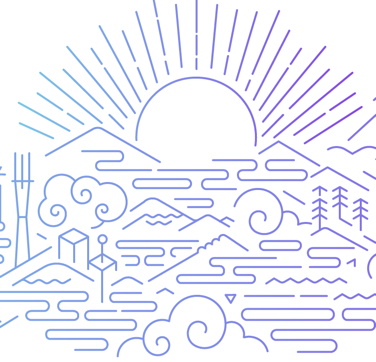 Existing Heroku developers can test drive Sumo Logic with a free trial, and upgrade the add-on to a paid plan from the Heroku marketplace. The add-on is easy to set up. From Heroku Elements, simply select Sumo Logic as an add-on for your application. You can then launch the Sumo Logic service directly from your Heroku Dashboard to gain real-time access to event logs in order to monitor new deployments, troubleshoot applications, and uncover performance issues. DevOps teams can monitor and troubleshoot their applications from code to production. Heroku’s Logplex consolidates application, system and network logs into a single stream and retains 1,500 lines log log data. Sumo Logic effortlessly collects terabytes of data from Logplex and your Heroku application. Data can be pre-parsed and partitioned on ingest to get separate views of your application and network streams. Our lightweight collectors replace traditional complex setups and effortlessly collect, compress, cache, and encrypt your data for secure transfer. Using Sumo Logic, developers can monitor application event streams in real time, tail logs in production using Live Tail, and utilize other tools to understand performance, detect critical issues, correlate events, analyze trends, and detect anomalies. DevOps teams can also utilize applications Analytics to understand how users use their app, to analyze business KPIs in real-time, and to optimize their applications to deliver the most value to customers. Secure by design, Sumo Logic maintains an array of critical certifications and attestations including PCI DSS 3.0. Ensure that your application complies with regulations like PCI or HIPAA, and that it handles sensitive data securely. Monitor access and other user behavior and detect malicious activity. Sumo Logic offers a broad set of features including monitoring, search and predictive analytics. Search and Analyze. Run searches and correlate events in real-time using a simple search engine-like syntax, such as PARSE, WHERE, IF, SUMMARIZE, TIMESLICE, GROUP BY, and SORT. LogReduce™ technology reduces hundreds of thousands of log events into groups of patterns. By filtering out the noise in your data, LogReduce can help reduce the Mean Time to Identification of issues by 50% or more. Transaction Analytics automates analysis of transactional context to decrease time associated with compiling and applying intelligence across transactions flowing through your multi-tiered Heroku application. Detect and Predict. When rules are not enough, Anomaly Detection technology powered by machine-learning algorithms detects deviations to uncover the unknowns in your data. Outlier Detection, also powered by a unique algorithm, analyzes thousands of data streams with a single query, determines baselines and identify outliers in real-time. Purpose-built visualization highlights abnormal behaviors giving Operations and Security teams visibility into critical KPIs for troubleshooting and remediation. Monitor and Visualize. Custom Dashboards and brilliant visualization help you easily monitor your data in real-time. The Dashboards unify all data streams so you can keep an eye on events that matter. Charting capabilities such as bar, pie line, map, and combo charts help you keep an eye on the most important KPIs for your Heroku application. Alert and Notify. Custom alerts proactively notify you when specific events and outliers are identified across your data streams. Proactive notifications are generated when your data deviates from calculated baselines or exceed thresholds to help you address potential issues promptly. Sumo Logic provides out-of-the-box solutions to help you build, run and secure your Heroku applications. Docker. Provides a native collection source for your entire Docker infrastructure. Real-time monitoring of Docker infrastructure including stats, events and container logs. Troubleshoot issues and set alerts on abnormal container or application behavior. Artifactory. Provides insight into your JFrog Artifactory binary repository. The App provides preconfigured Dashboards that include an Overview of your system, Traffic, Requests and Access, Download Activity, Cache Activity, and Non-Cached Deployment Activity. Github. Coming soon, our Github beta will allow DevOps teams gather metrics to facilitate code reviews, monitor team productivity, and enable teams to secure intellectual property. Existing Heroku customers can launch the Sumo Logic service directly from the Heroku dashboard. Select a pricing that works for you, or take a test drive for 30 days with Sumo Free. I’ve written a short getting started for Ruby Developers. If you’d like to contribute a tutorial in another language, feel free to share it on our developer community site.